Strategic M&A transactions enable companies to focus on their highest potential offerings, customers and markets. The legal framework governing M&A operations is not uniform but rather spread out across many different legal documents. To minimize risk, businesses contemplating an M&A transaction should employ not only due diligence specialists but also legal teams competent in the Laws on Enterprise, Competition, Investment, Tax, Accounting, Intellectual Property, Labor & Employment, Commerce, Civil Law, and so forth. The Law on Enterprise treats mergers & acquisitions as methods of corporate reorganization, including mergers and amalgamations. It also sets forth rules and procedures for capital & share acquisitions, private enterprise acquisitions, mergers and amalgamations of enterprises. The Law on Competition classifies mergers & acquisitions as economic concentrations, including mergers of enterprises, amalgamations of enterprises, acquisitions of enterprises, joint ventures between enterprises. Vietnamese competition law restricts M&A transactions based on the combined market share of the entities participating in the transaction. 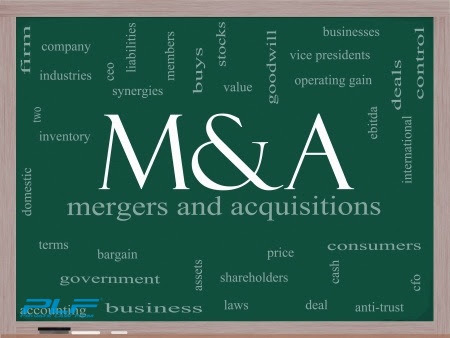 According to the Law on Investment, M&A are forms of direct investment, including merger and acquisition of enterprises, share purchases or capital contributions by the participants. Vietnam’s Law on Investment sets forth holding rate of capital contribution and share purchase by foreign investors, as well as conditions for company and branch’s mergers and acquisitions. M&A operations involving credit institutions, including consolidations, mergers, and acquisitions, are specifically regulated under Circular 04/2010/NHNN of the State Bank of Vietnam. As a field of special importance to the Vietnamese economy, the Government has imposed heightened regulation and scrutiny over the credit industry. Commercial Law and the Civil Law mainly view M&A as contractual arrangements between parties. These can take the form of stock purchase agreements, capital transfer contracts, asset purchase agreements, joint venture agreements, and so forth. The Law on Tax is implicated in mergers & acquisitions to the extent that there are alterations in a company’s financial structure and situation. Enterprise income taxes, personal income taxes, value added tax and other levies are among those that need to be settled by the entities to a merger or acquisition in Vietnam. The Law on Accounting regulates consolidated financial statements. Circular 21/2006/TT-BTC, Circular 161/2007/TT-BTC, Accounting Standard No. 11 - Business Combinations, and Accounting Standard No. 25 further provide rules on consolidated financial statements and accounting investments for subsidiaries. The Audit Act is used to monitor an enterprise’s financial activities for asset valuation purposes. Intellectual Property Law governs any applicable transfers of copyright, technology, or trade secrets between the parties. The Labor Code requires companies participating in M&A transactions to comply with all obligations to pre-existing employees, meaning the labor usage plan after the M&A transaction. Other discrete regulations which may apply in M&A scenarios are asset valuation, customs, real estate, and so forth.